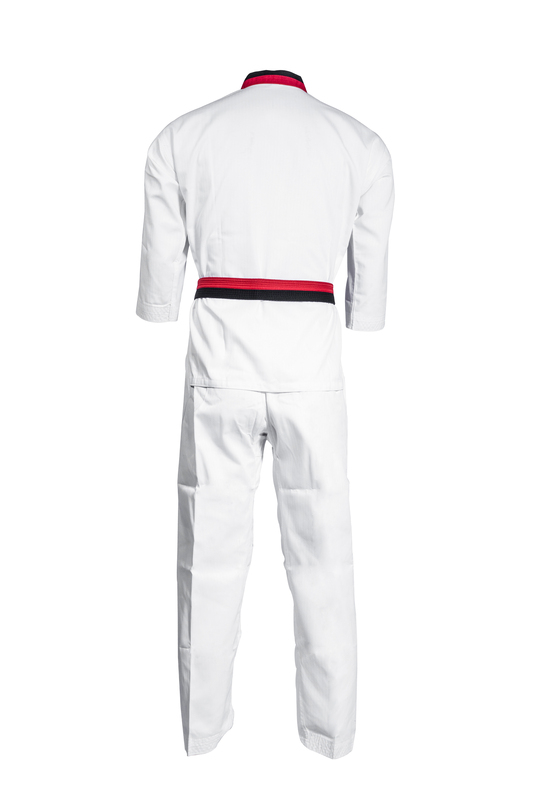 Brand TAEWOO fine quality RIBBED fabric WT Black Collar Uniform. 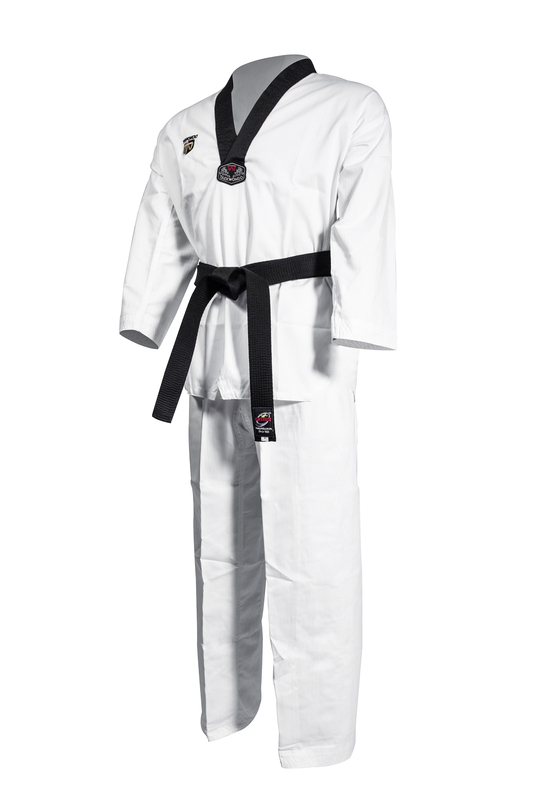 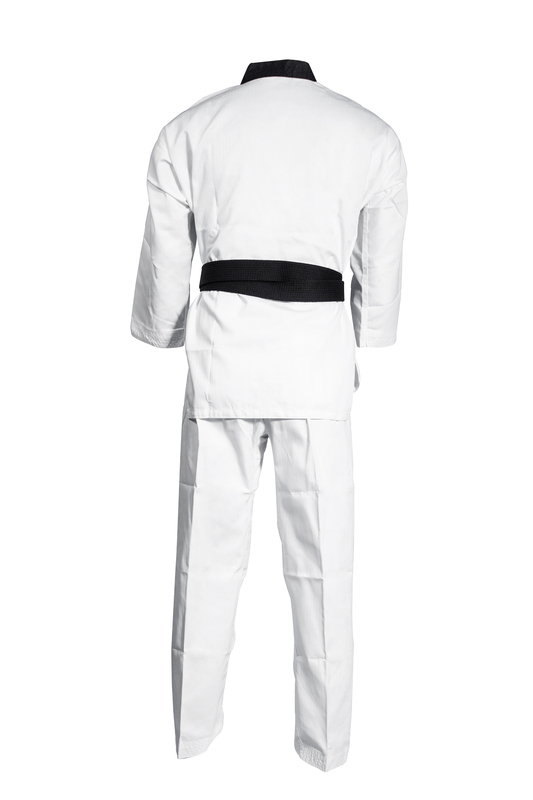 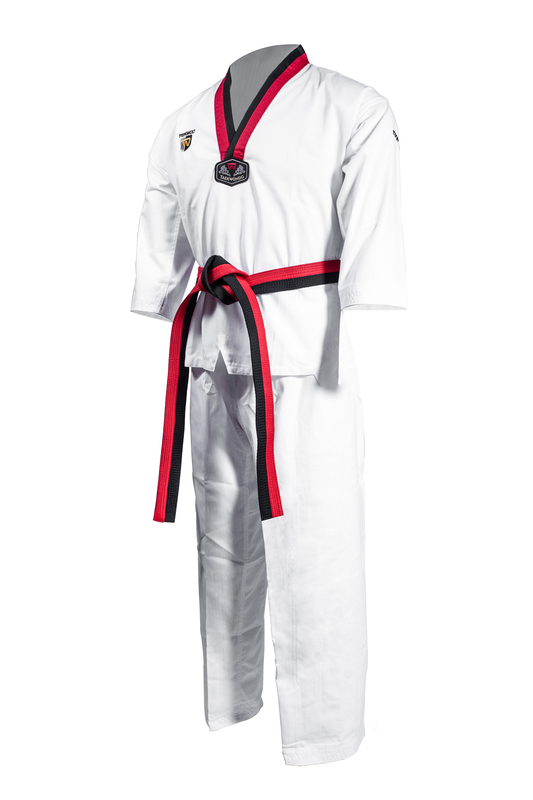 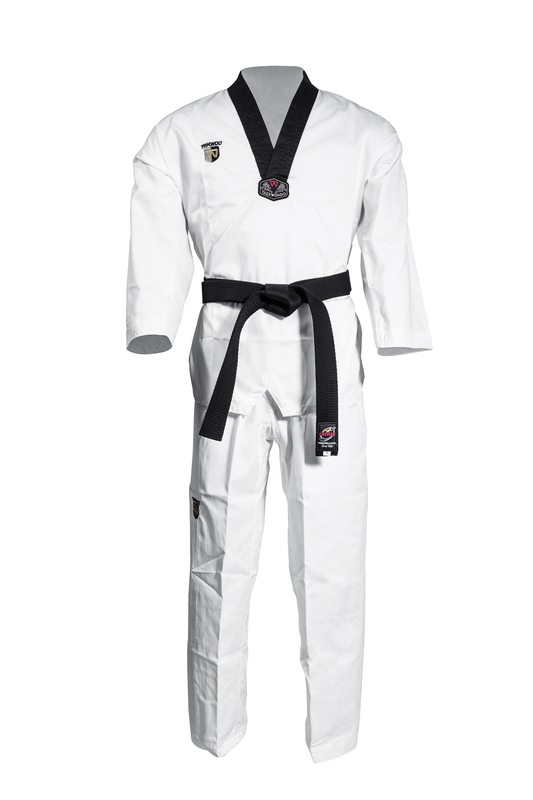 TAEWOO traditional V-neck uniform cutting makes it compatible for active martial arts forms and sparring. 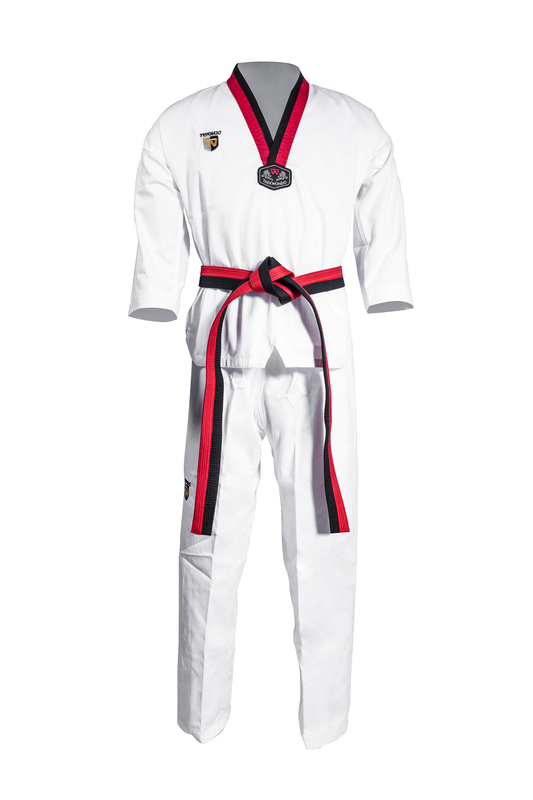 Material made from polyster/cotton fabric.